While snow fell yesterday night and it was cold and windy, today broke to bright sun and a light covering of snow. Warm enough to head to the range and that's where Leah and I went. 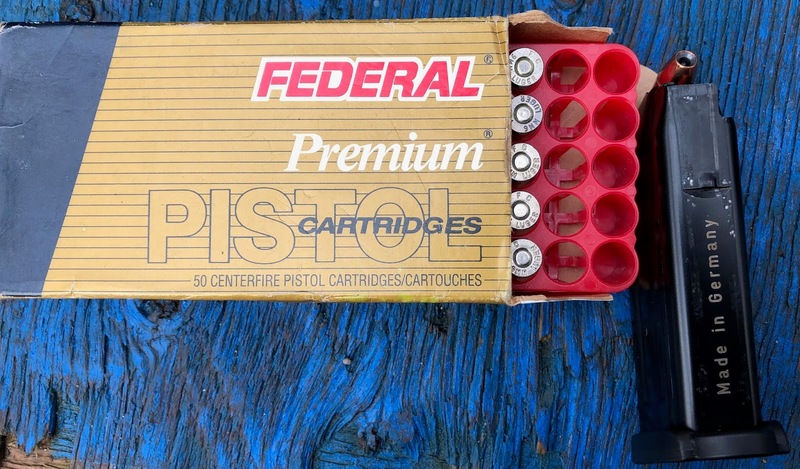 As Leah shot the M&P 22 Compact, I shot a Winchester White Box 200 round value pack through the P30SK. No failures to report and I can be happy to say I'm getting faster and more accurate now that I've been getting some practice in. Today was 200 rounds, a rack of plates and Leah running the timer and a start from low ready. I managed to get down to 6 shots, all plates hit in 3 seconds even but couldn't get below that. Something to work on and certainly better accuracy than the previous visit. No failures of any kind even as some snow got on the magazines and firearm. A lot of people are concerned about Red Flag Laws being misapplied. There's certainly a great deal of reason to be justifiably concerned given how such laws have been used so far. Red Flag laws are yet another "Do Something" response to incidents like the Parkland School Shooting and the comforting idea that "just one more law" will solve the problem and prevent violence. The problem is, it won't. As at Parkland, plenty of laws existed that would have stopped the miscreant from carrying out his action. The problem was they the multitude of existing laws weren't enforced and all the multitude of warning signs were ignored. One more law, on the books but unenforced, isn't going to help. The problem with Red Flag Laws is not just that they're a knee-jerk reaction to a complex problem, but also in how they're being enforced, oft times with dubious process, against those who don't pose a threat to make it appear that the powers that be are "doing something". How did they avert it, exactly? They used an "Extreme risk protection order", Vermont's "Red Flag Law", not to disarm or indeed even criminally charge the known wrongdoers who were planning to shoot up a school, but instead to confiscate firearms from an innocent third party from whom the wrongdoers allegedly planned to steal the firearms to be used in the shooting. So far the wrongdoers themselves have yet so far as we know to be charged with a crime nor locked up. So they're free to find another source of weapons to steal, assuming they actually meant to carry out their threat. So this touted use of an extreme risk protection order was used, to much fanfare, not against the actual wrongdoers, but an innocent third party to confiscate his/her property for an indefinite period of time. That is certainly a problematic application of the law. If you were worried about the misuse and problematic enforcement of Red Flag Laws, you were certainly justified to be concerned. I'm more than fine with that. The unseasonably reasonable weather has made the commute and travel to various courts a breeze and the temperatures have led to longer and far more enjoyable dog walks. After the extra early snow and related cold snap and assorted hassles in November, the lack of snowfall in December has been most welcome. 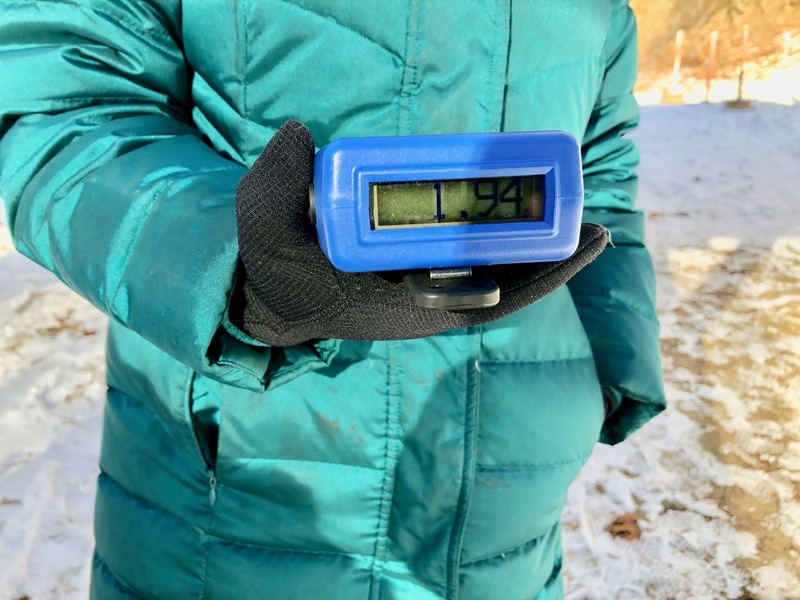 Lest you're ready to shout "Global Warming" at the lack of snow this December, do note that Michigan's winters tend to have very variable snowfalls. As can be read in the linked article, in 1889 there was no snowfall in December at all but there was 34.9 inches in 1974 and 22.5 in 2017. Snow in this area varies a lot year to year and I'm sure we'll get hammered soon. As usual for the family, we do a volunteer project each Christmas Day. This year after breakfast we headed out to volunteer and got our assignment. Our job was to help sort donated books for an upcoming book sale - Bookstock - that raises money for charity, mainly for raising funds for education and literacy in the Detroit area. To say this was a very enjoyable volunteering opportunity for a family of bibliophiles was an understatement. Donated books in boxes and stacks by the ton needed to be sorted into various categories - history, sci-fi, religion, fiction, mysteries, romance, biography, classics, children's books, trade paperbacks, art, etc. This occasionally led to lots of fun discussions as to where to place a certain book. The elderly ladies in charge declared, for example, that Tom Clancy belonged in Science Fiction and not fiction because he sold better that way. One did not argue if you knew what was good for you. Some donated books were unfortunately in lousy shape and were unsaleable had to go in the recycling bin, others sorted turned out to be rare books that were set aside for valuation. I helped sort books, bring in shipments of books to the sorting room from the storage rooms on carts, and then sort even more books. Lots of neat books passed through my hands on the way to the sorted piles. Every possible subject was present among the donated books. It was a very nice volunteering opportunity with a bunch of people who all worked hard to get thousands of books sorted and prepared for the sale in record time. I'm definitely going to have to shop at the book sale. May your Christmas Day be full of peace, joy, and all good things. The Kahr PM9 was feeling rather unloved. Being a very concealable and convenient pocket pistol, it does tend to get the nod to be carried whenever I heading out the door. 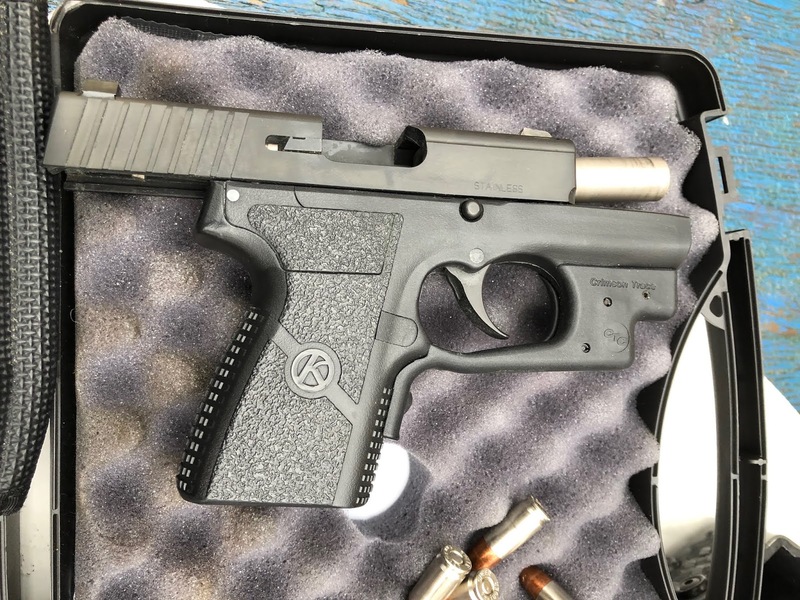 Very much a nice small gun for when you can't easily carry a compact or full size gun, it's been carried a lot and not shot all that much recently. So I decided to give it a go after shooting the P30SK. Right out of the pocket holster and just changing over to some FMJ for practice, it fired all 50 rounds of FMJ I fired through it without a hitch. Recoil was definitely felt more in the smaller pistol. After shooting the P30SK the trigger on the PM9 also felt rather different and inferior. The PM9 has a very long almost rolling feel to the trigger - you squeeze it back, and squeeze it back, and keep squeezing it back and finally it goes off and hits the target. Basically it is a safety to stop you from prematurely firing and it is rather good at that. It is smooth with no hitches but really long. It's so long it feels like a trigger you pull on Monday and it finally goes off on Sunday. By itself, it really is not bad. But, when compared immediately to a trigger like that on the P30SK or a Glock, it is a noticeably long, long, pull. Accuracy was not bad at all. After the range trip I brought it home, cleaned, lubed, and reloaded it, and got all the pocket lint out of the spare magazine that rides along in my offhand front pocket. If you carry a mag in a pocket, expect that it will pickup pocket lint. 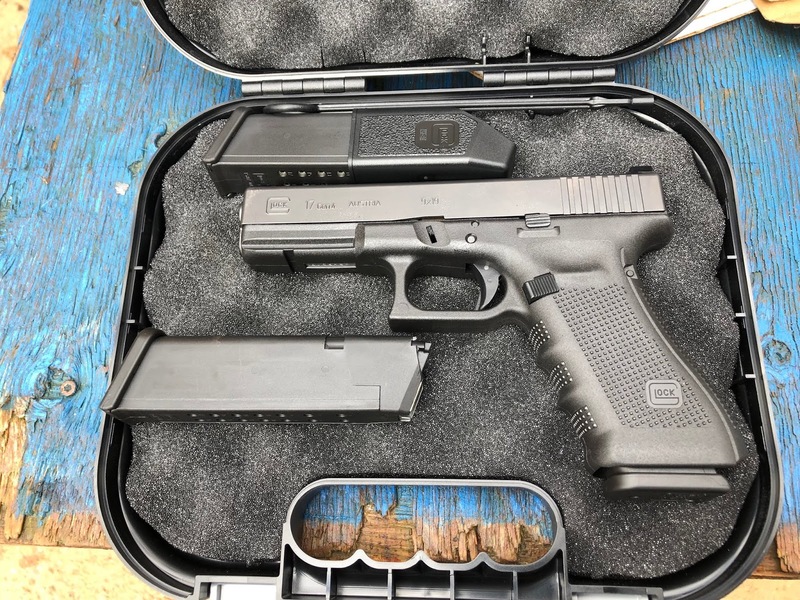 Next up was a nice new out of the box Glock 17 Gen4. I managed to pick it up for a very good price and I'm rather happy with it. It's a Glock so nothing much to say about it really, but the grip texture does seem better than the prior versions. I did not add any back-straps as it fits my hand fine as is. I did install some Trijicon HD XR Orange Front Outline night sights to it, replacing the stock factory plastic sights with a much more durable and usable set. Installation was easy using a sight pusher and it was no big deal. The orange outline on the front sight is very easy to pickup and accuracy was very nice. I fired 100 rounds of the 9MM Nato FMJ through the Glock 17 with no issues, which is to be expected. It was a darn good range trip and very badly needed practice session. I need to get out to the range more often and will make it a resolution for 2019. 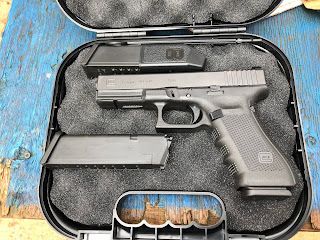 I figure I will get out more often to complete the P30SK 2,000 round test, and then do a 2,000 round test on the Glock 17 Gen 4. This should get me out to the range more often to work on shooting better. It's been far too long since I went to the range and after all the arbitration craziness I needed to get some range time in. Today the weather was clear and cold and it was a good day to head to the range. I first fired 50 rounds of Federal FMJ through the P30SK. Even after sitting in its box for months, and with a noticeably dirty and cruddy feed ramp, it functioned perfectly. 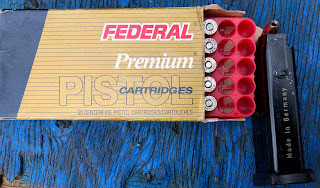 I was not shooting nearly as well as I have in the past and that first box showed I needed to practice more. 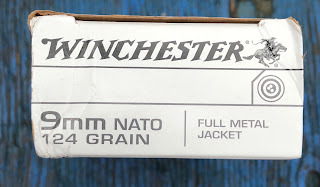 Next was three boxes of Winchester 9MM Nato FMJ. Certainly they felt like they had a bit more oomph than the Federal FMJ, but no issues shooting them. 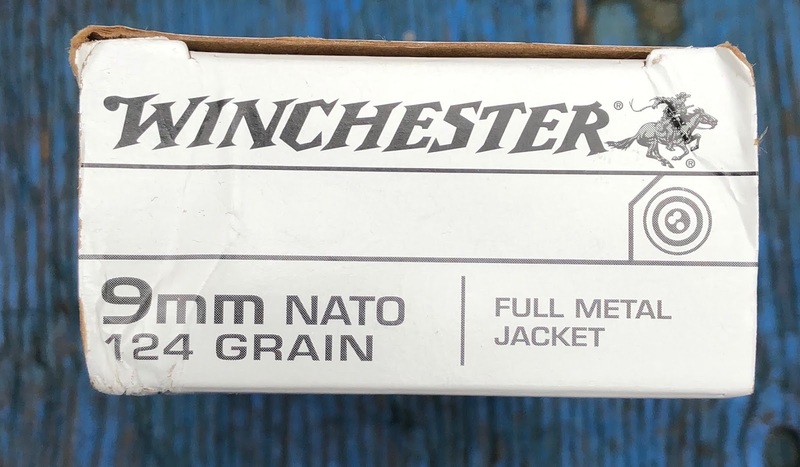 Once I was through the first box of the Winchester, my accuracy was starting to come back, speed still slower than before though. Then for a change of pace was an older box of Federal Hydrashocks I had been meaning to shoot up, again, every round fed without an issue. 250 rounds fired in one go without a hitch. Many steel plates were downed, and many holes punched in paper, with better groups as time went on. 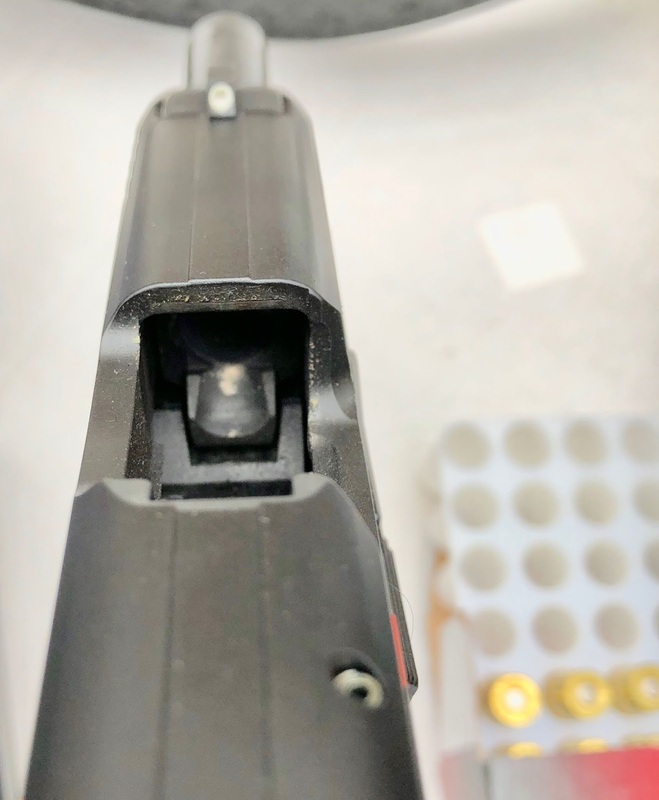 That's 1,350 rounds through the P30sk with only a single failure due to a defective cartridge. There's an old adage among lawyers - Never ask a question of a witness you don't know the answer to during a trial. That also applies during an arbitration. Claimant's attorney had a claimed star witness, he was supposed to testify early Thursday morning. Claimants attorney even stated he was so important may have to even suspend the arbitration as he had trouble getting the witness to appear especially as the witnesses wife had just been in a car accident that very morning. I certainly didn't want to suspend the arbitration so we all agreed the witness could appear just via voice on the phone. My clients knew his voice in any case. One of the many claims claimant made was about some machines and his claim was they didn't work for the purpose they were sold by my client to be used by his client and others. So we get his star witness on the line. "How well did the machines work?" His star witnesses answer: "They worked great!". Too bad you weren't there to see the look on his face at that answer. Priceless. He persists: "But didn't they break down?" His star witnesses answer: "Oh, there was some normal wear and tear, but nothing that was their fault". To rub it in a bit there was just one question from me for that witness, "I just went to be sure we all heard you right, you said the machines worked great?" "Yes", he said "Yes, they did". The lack of any blog posting lately is due to quite a concentrated bit of effort. I was retained at the literal last minute to represent a client in an arbitration. So I had less than a week to get up to speed on a case that had been going on for over a year. Preparing for testimony and witnesses and anticipating opposing counsel strategy while trying to get a grasp on the issues, fast. It wasn't easy as it happened to be focused on a hyper-technical area of law, and the other side, being the claimant in the case decided on a strategy of throw-everything-at-the-wall-and-hope-something-sticks. He had a fair bit of the spaghetti being very nebulous claims and that the technical errors equaled fraud by my client and it got fun real fast. Add multiple states' laws at issue and it got even better. The last 4 days have been in the arbitration itself. The days typically ran from 8:30-5:00 in the arbitration itself, plus meeting with clients before and after, and spending hours on more prep, preparing witnesses, and learning and trying to master over 5,000 pages of exhibits. Amazingly, the claimant's counsel chose to not make an opening statement, so I got to set the table for the entire proceeding with a nice PowerPoint as background and opening by laying out his allegations and claims and showing how we would defend against them. He then got to put on his witnesses Monday and Tuesday, Wednesday we rotated back and forth with witnesses out of order as all of them were remote via Skype or Ringcentral (yay, technology) and none of them could be scheduled just right. Starting yesterday afternoon were more of my witnesses and we finished up with it all today. At the end of the day today, we finished and agreed on doing written summations. I, at least, know I have won the argument that Michigan law should apply to the dispute, so we're off to a nice start with the summations based on Michigan law alone. Just like a trial, arbitration can be quite draining as you're putting all your focus and energy into it for 18-20 or so hours a day and snatching some sleep for a few hours before going back at it. On the fun side, it has really relaxed rules of evidence compared to a court. Opposing counsel started off leading his witnesses like crazy, and I initially objected but as he kept doing it I then stated that so long as I got the same allowance to lead I was ok with it. So, we both got to lead our witnesses wherever we needed them to go which saved a lot of time. The rules also set were that light hearsay was in, double and triple hearsay was out, and I did object to an attempted triple hearsay and was sustained on it, which was fun. Triple hearsay doesn't happen very often. We also got an agreement that all exhibits came in and the Arbitrator could weigh the evidence as he thought best based on the testimony, again time was saved having to admit every exhibit, and since we all knew about each others exhibits it was fine. The clients liked the job I did, and I think I did a darn good job if I say so myself. I'd say we've got a viable defense even though my clients had clearly made some technical errors in their process, which as a strategy from the outset I clearly stated had happened, as denying it would be stupid as there is no question the errors did occur. But, I showed there was no intent to defraud. I also pointed out the claimant couldn't have relied on most of the errors as he never would have seen the documents with those errors in the first place when making his decisions on things and those particular errors did not affect him in the slightest. We had a very good arbitrator and opposing counsel was decent, quite smart, and did not play any silly games which was nice. I need a nap. After nappage, regularish blogging should return tomorrow as I start digging out from all the other work that has piled up while I've been doing the arbitration. The battery on the First Alert smoke detector advertises itself as having a 10-year life from date of activation. This is handy as you can install it and not have to bother changing the batteries every time change twice a year as you do with your other smoke alarms and primary defensive weapon lights (you do do that, don't you?). Well advertised 10 year lithium battery life didn't quite match real-life experience. With the alarm having a manufacturing date of 2014 Sep 17 and it was installed in January 2015, it began to chirp with a low battery warning this month, for an in use life of almost four years. The chirp was pretty darn annoying, rather hard to track down as it was intermittent, and was puzzling as again, not 10 years. On the plus side, First Alert stepped up and is replacing it for free with no shipping cost so they do stand by their product and offer great customer service. We'll see how long the replacement lasts. Shut down in 2003, it has finally met its end with a demolition that has been years in the making and come in millions over budget. Murph may perhaps one day tell some stories about his hypothetically and allegedly exploring it sometime. Unfortunately, there was no replacement for the hospital and Michigan has a severe shortage of treatment and institutionalization facilities for the mentally ill. The latest bit of hand-wringing comes from the realization that with the defeat of Justice Kris Wilder (Republican) and his replacement with a white female Democrat, the Democrats have managed to create a State Supreme Court with no Black people on it for the first time in 33 years. This leads to a call for diversity, meaning more Black people on the court from certain Democrat constituents. Given the Democrat slate was very much blindingly White and mostly female this year from the Governor on down, with a single token Black pro-Hamas lieutenant-governor thrown in from Detroit to prevent it from being completely White, this is difficult to achieve. In short, this lack of Blacks on the court this year is the Democrat's fault and the Democrat's fault alone. Then again, one would have hoped the Democrats would had moved from color of skin to content of character by now, but apparently they have not. Of course, when Anthony of the NAACP and other Dems want Black folks on the court, they want the Black folk to be the right sort. In other words Anthony's idea of diversity of value is only skin deep. The right value added proposition according to him means appointing people who think like him to the court. Diversity of thought or even worse, a Black Justice leaving the Democrat plantation is simply not to be permitted. Hanukkah 2018 kicked off nicely last night. Commemorating the recapturing of Jerusalem, the re-dedication of the Temple, and the overthrow and removal of the Graeco-Syrian invaders from Israel, it's a very happy holiday. We had a party at our house with a bunch of family friends. This, of course, meant preparing by making lots of latkas. Following the recipe we indeed did make lots and lots of latkas, almost 100 in fact. Many a potato was peeled yesterday. 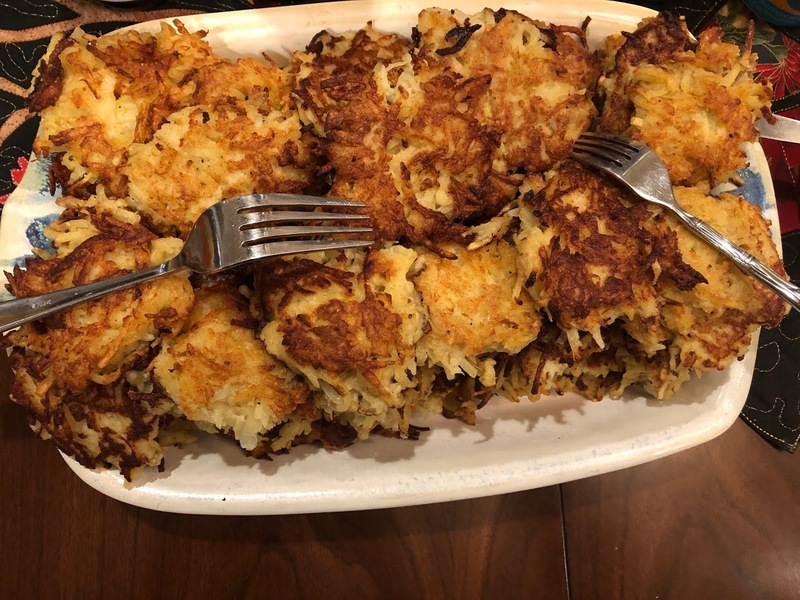 They were a big hit and one of the guest families brought homemade apple sauce which was excellent and went really well with the latkas. The latkas were consumed in job lots by the guests and everyone liked them. Lots of other food and libations were also served and everyone had a great time. We lit the candles for the first night and then the gifts for the kids began. We did it as a Chinese fire drill technique - the kids randomly drew a number and #1 went first and unwrapped a gift. #2 could take #1's gift or open another one. Interestingly, the kids were hesitant to take each other's gifts and kept going back to the pile. Lots of fun in any case. After the families had left, our kids got their first night gifts from us and enjoyed them as well. So a very Happy Hanukkah to all my readers. Home Invader meets armed female in Detroit. Results: 55-Year-Old Armed female 1, Scumbag 0. It's a good thing no one ever told her not to arm herself as the bad guy would just take it away from her, now isn't it?